Royal Palm Literary Award competition. Click HERE to read "School Shooter." Finally, a new book! 72 song lyrics, from my early country music days writing with George Jeffrey to my 25-year writing partnership with McGuffey Lane’s John Schwab; 15 poems, from as far back as high school (a one-room building that I walked 20 miles in drifting snow to attend, even in the middle of summer); 4 short stories—never my forte, which is why you get 4 short stories and not 40. But the bonus is the backstory to each work—sometimes poignant, sometimes funny, sometimes just telling it like it is/was. If you’re going to buy only one book this year, spend your money on a better book. But if you read a lot and like human interest stories along with your lyrics, poetry, and short stories, this book might, just might, be for you. Read the Foreward by Mark S. Davis, Ph.D.
My second book, For The Record, includes works that span over four decades of my creative writing. 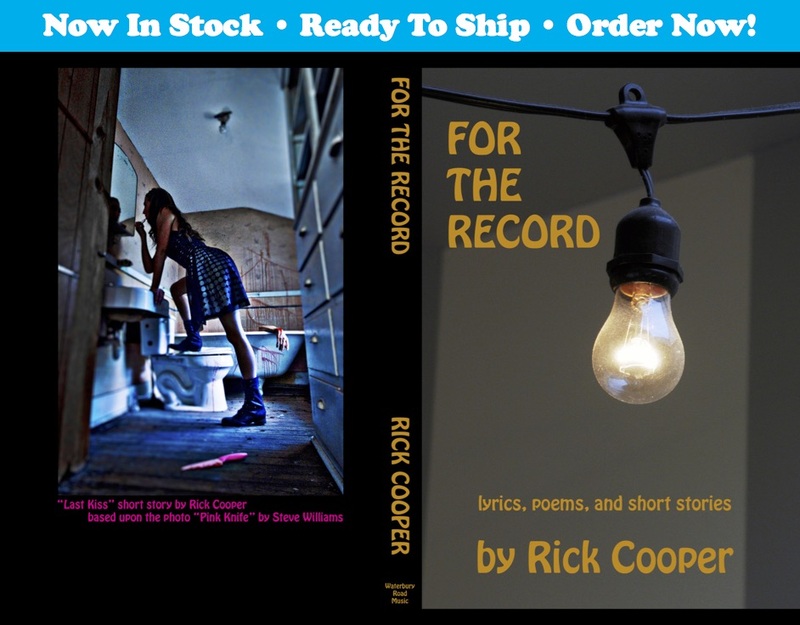 The book features the lyrics to 72 of my songs, along with 15 poems and 4 short stories. Each work also comes with its own backstory. 255 pages. Please indicate if you want a signed or unsigned book. If you include your e-mail address, I’ll send you the tracking number when your book ships. Contact me if ordering multiple copies and I'll quote the additional postage. Thanks!